A large crack that agrave day after day. Until June 6, 2014, the Indian continent had not seen active volcanism during the last 60 million years. On 6 June 2014, a crack opened in the ground near the village of Gadiya in Kangra district of the state Himachal Pradesh, India. 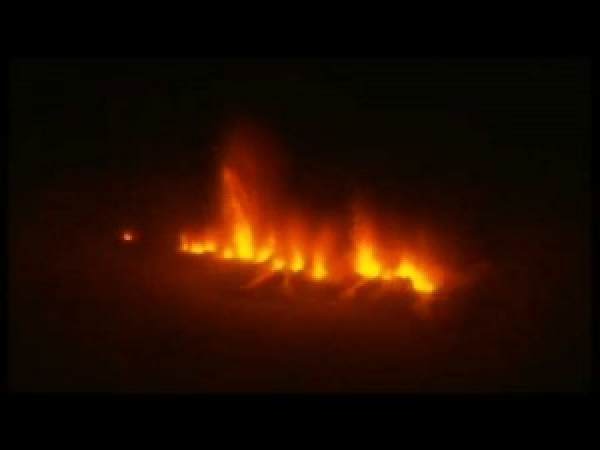 Flames, gas and volcanic magma came out of a hole four yards wide, soil and researchers office of Indian Geological Survey confirmed that magma is, is the production of lava that comes from deep within the earth and pierced the crust. Recent picture of the event. This is the first volcanic eruption ever seen in India, because the man was not there when the latter arrived there 65 million years ago at the end of the Cretaceous period. The giant eruption of Deccan threw so many gases in the atmosphere, is suspected to have played an important role in mass extinctions. Parliamentary Secretary Jagjivan Pal, in the district assembly Sulah and falls in the region, visited the place this Tuesday, June 10, 2014. He said flames and hot liquid from the hill had created the panic. 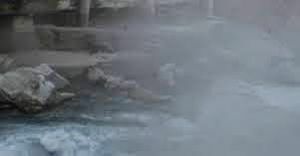 The outpouring of lava and gas continues to flow and the villagers are informed that they may lose their home if it continues. The nearest village is only 90 meters from the square. The eruption of Deccan like India and had a profound effect on the whole planet, hope this is not the start of something much, much more. 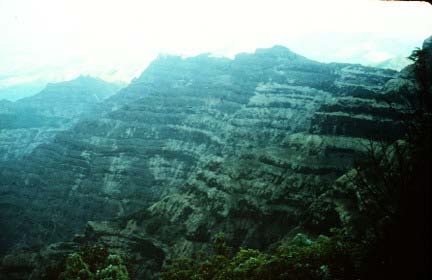 The Deccan Traps are one of the largest volcanic provinces in the world. They consist of more than 6,500 feet (> 2000 m) of basalt lava lying and covers an area of nearly 200,000 square miles (500,000 square kilometers) (about the size of Washington and Oregon combined) in west-central India. Estimates of the original area covered by lava flows are as high as 600,000 square miles (1,500,000 square kilometers). The volume of basalt is estimated at 12,275 cubic miles (512,000 cubic km) (1980 eruption of Mount St. Helens produces 1 cubic km of volcanic material). The Deccan Traps are basalts similar flood basalts of the Columbia River in northwestern United States. This photo shows a thick pile of basaltic lava flows north of Mahabaleshwar. Photography by Lazlo Keszthelyi January 28, 1996. Deccan basalts may have played a role in the extinction of dinosaurs. Most basalt erupted there between 65 and 60 million years. The gas generated by the eruption may have changed the global climate and led to the disappearance of the dinosaurs are 65 million years. 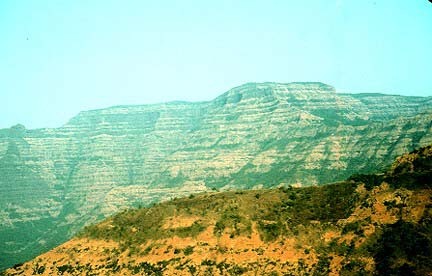 This photo shows the covers of the Deccan between Mambai and Mahabaleshwar. Photography by Lazlo Keszthelyi January 27, 1996. The vocanologistes also trying to understand how these large volumes of lava erupted. Early models suggested that the lava flooded over large areas at extremely fast speeds. The proposed models have recently suggested that at least some of the flows are introduced to sustainable progressive rates from several months to several years. 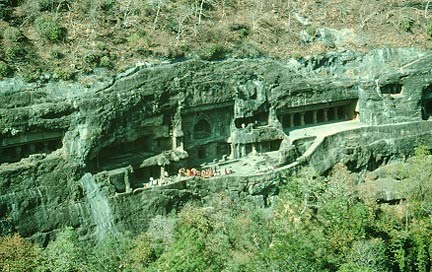 This photo shows the Ajunta Caves, temples carved into the basalt. Notice the school band for scale. Photography by Lazlo Keszthelyi January 31, 1996. A reblogué ceci sur GroomsDayPrepper.